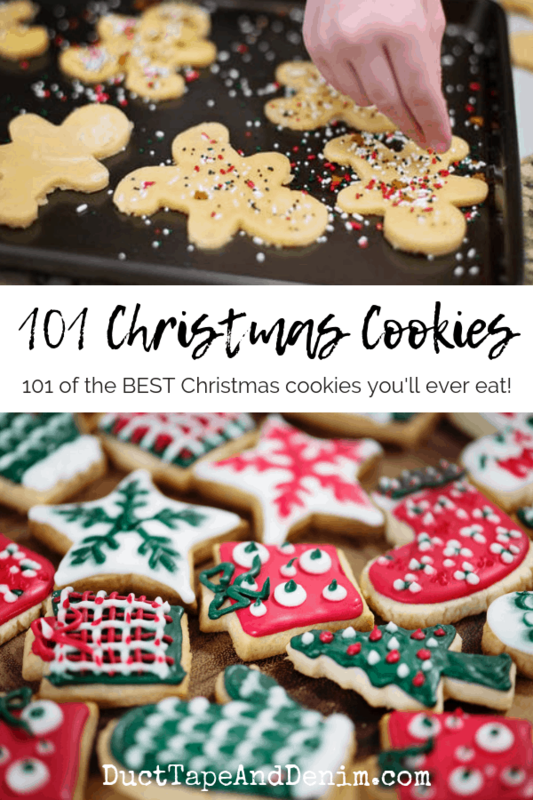 101 of the BEST Christmas Cookies You'll Ever Eat! 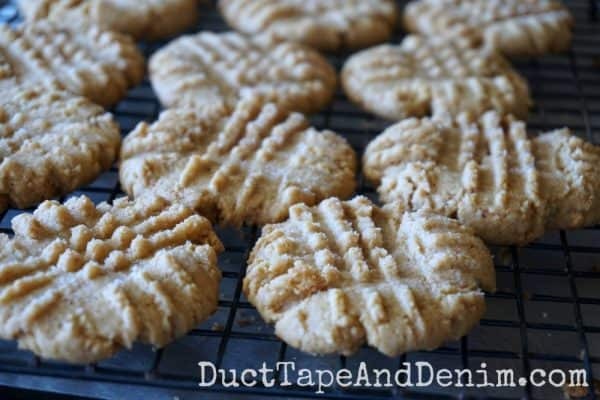 101 of the BEST Christmas Cookies You’ll Ever Eat! Today we’re delivering our Christmas cookies. We didn’t bake as many this year as in the past. Well, Jordy probably did if you count all the ones she took to school. I tried some new recipes this year and saw LOTS more that I wanted to try so I’m making this post to keep up with all of them so I can come back and try them later. Hopefully before next Christmas! Keep scrolling down for 101 MORE of the most delicious Christmas cookies you’ll ever taste! When we make our Christmas cookie plates I like to choose a variety of cookies. There are 7 categories of Christmas cookies below. I would choose one recipe from 5 of the categories and then throw on a few chocolate kisses, peppermints, or other Christmas candies. Since this is my list, I’m gonna put my favorite flavor first — chocolate! If I can’t have a chocolate cookie, I’ll take one with chocolate chips in it! 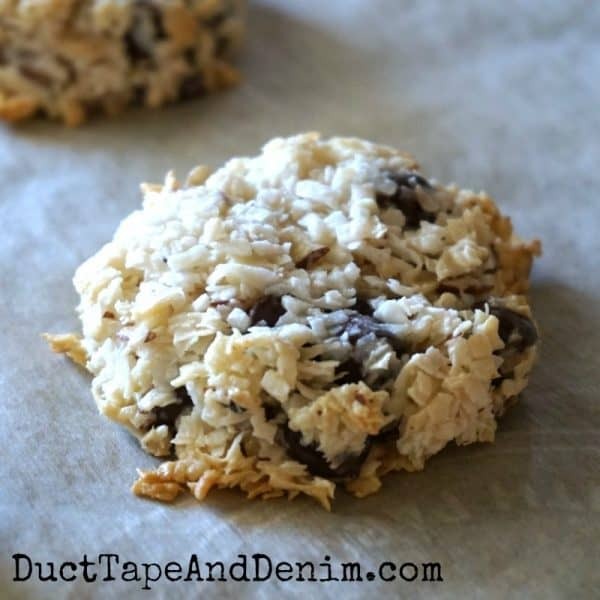 Almond Joy Cookies – Only FOUR ingredients! 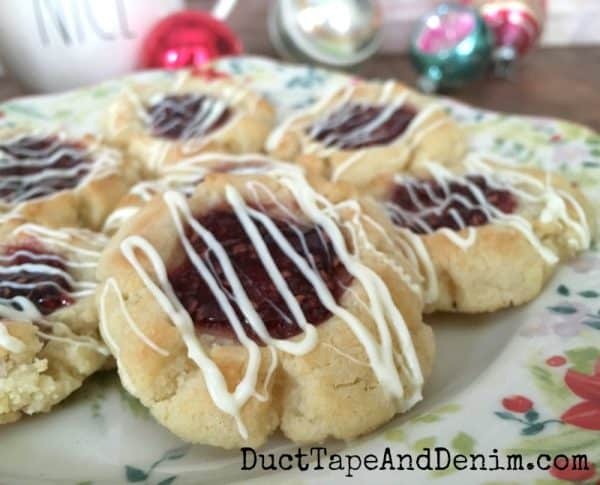 Raspberry Thumbprint Cookies – These are made with cake mix! Pumpkin Pie Tarts – Great when you have some pumpkin pie filling leftover. Simple Coconut Macaroons – gluten free! Hope you find some recipes on this list that will become family traditions for you, too. And leave a comment if you have another recipe I should try. 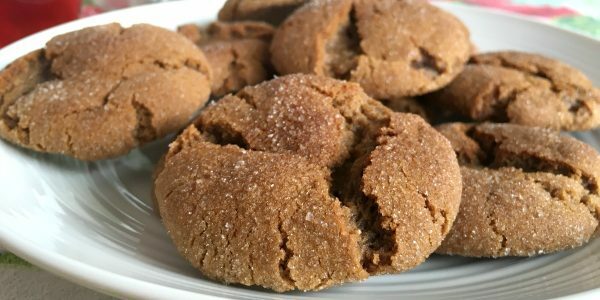 I can NEVER have too many cookie recipes! First published Dec 22, 2010. Where's your cookie pictures?! 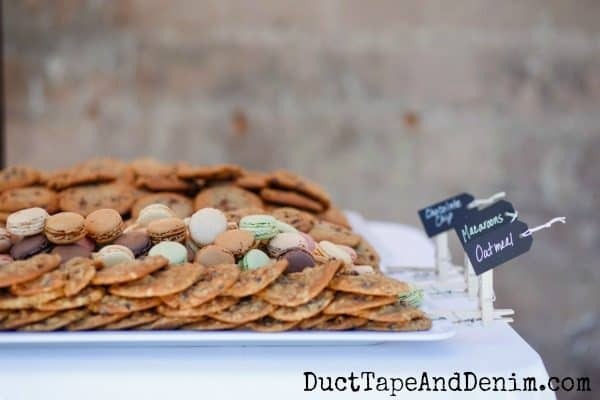 Those on your to do list sound yummy! I bookmarked a lot this year that I want to try some day, too. I'll try to upload pictures of our cutout cookies later.